In their fervor for following the Indian model, Tamil leaders and the public failed to realize that the ground situation in India and Sri Lanka were different. In India there were several communities and Indian nationalism brought all of them under its umbrella. In Sri Lanka there are only two communities, the Sinhalese the majority community and Tamils the minority community, and the building of Sri Lankan nationalism would depend on the goodwill of the Sinhalese. The failure to understand the difference between the situations in India and Sri Lanka and merely echoing the Indian slogans and copying the Indian approach led the Sri Lankan Tamils into the present mess. Sir Ponnambalam Arunachalam subtly entered the political scene in 1902, the year Anagarika Dharmapala entrenched himself as the most vocal Sinhala- Buddhist revivalist. In that year Arunachalam persuaded his friend John Ferguson, the editor of Ceylon Observer, to publish two letters he wrote on the need for constitutional reforms for Sri Lanka. Arunachalam argued in those letters that the Legislative Council should be expanded to accommodate the elected representatives of the people of Sri Lanka. Ferguson who succeeded his uncle A.M. Ferguson as the editor and proprietor of Ceylon Observer in 1892 struck a close friendship with Arunachalam who then held the post of Registrar General and backed up Arunachalam’s letters with a forceful editorial. While Arunachalam was pushing for constitutional reforms, Anagarika Dharmapala had begun his offensive on the Tamils. He had clearly taken up the position that the Sinhala country should be ruled by the Sinhalese. The three political trends that were in action during the last quarter of the 19th Century strengthened in the first decade of the 20th Century. Sinhala- Buddhist nationalism had taken a virulent anti- Tamil course. Sinhala Buddhist activists had taken control of the Temperance Movement and Buddhist monks had come into the forefront and anti- Tamil tenor had grown louder. Meanwhile Tamil sentiments and aspirations too solidified during the closing years of the 19th Century and the first decade of the 20th century. Ramanathan’s elder brother P. Coomaraswamy was nominated the unofficial member in 1893 and he served for five years. Though he was not as effective as Ramanathan he was considered more people-friendly. His experience as a member of the Colombo Municipal Council helped him to win over the people. Coomaraswamy decided to seek re-nomination when his term ended in 1897. Colombo-based medical practitioner W.G. Rockwood, an Anglican Christian, announced his candidature. The contest brought among the Saivaites a sense of solidarity and a yearning to assert their political aspiration of preserving their language and culture. Several public meetings were held in the northern and the eastern province in support of Coomaraswamy’s re-nomination. Hindu Organ which reported the Jaffna meeting said, “all sections of the Tamil community and various interests were represented at the meeting”. Hindu Organ also reported on all the meetings held in other parts of the northern and eastern provinces. In Mullaitivu a well attended meeting was held on November 20, 1897 at the PWD Bungalow. The report said several government officers and farmers pledged their support to Coomaraswamy. It added the meeting gave a “massive endorsement to Coomaraswamy’s re-nomination”. The meetings in Trincomalee and Batticaloa were also well attended. Mudaliyars, Vanniyars, merchants, professionals, farmers and other people attended the meeting held in a Saiva school in Trincomalee town. The meeting held at the Batticaloa District Court House on December 1 also enthusiastically supported Coomaraswamy. The Governor ignored the plea of the Tamil people and nominated Rockwood because of his loyalty, creating a loud political outcry among the Tamils. Jaffna newspapers were unanimous in their condemnation of the Governor’s action. They held several protest meetings. In a strong editorial which reflected the mood of the Tamil people Inthu Sathanam accused the Governor of spurning Tamil aspirations. It also hinted that the British would have been upset over the solidarity that was developing among the Tamil people and due to the influence the Indian independence movement had on them. The Governor has thus appointed, on his own, a person of his choice, because he has the constitutional right to do so. If this right remains with the Governor, how can the wishes of the people be fulfilled in the Legislative Council? If we do not get this right into our hands now, when are we going to get it? As the Governor has taken this action without regard to the opinion of the Tamil people, it becomes very important and necessary that we should devise a means to select a representative in future according to the wishes of the people. Gokhale’s agitation was followed by the Tamils with great interest. The civil disobedience movement Gandhi started in 1893 in South Africa to win the civil rights of the Indians residents there too had a profound impact on the Sri Lankan Tamils. His address about his South African experience delivered at the meeting of the Madras Mahajana Sabhai on October 24, 1896 was widely reported in the Jaffna newspapers and Gandhi had become a hero for the younger generation. The editorial quoted above had also advocated that Tamils should act as a united community so that they could decide their political affairs in the future in the same way Indians were doing. In their fervor for following the Indian model, Tamil leaders and the public failed to realize that the ground situation in India and Sri Lanka were different. The failure to understand the difference between the situations in India and Sri Lanka and merely echoing the Indian slogans and copying the Indian approach led the Sri Lankan Tamils into the present mess. Tamil leaders failed to build on the aspirations of the Tamil people that took a concrete shape following Rockwood’s nomination. Agitation for the nomination of a Tamil Saivaite reemerged in 1902 when Rockwood’s five year term ended but the Governor re-nominated him ignoring the aspirations of the Tamil people and breaking the 5-year rule introduced in 1889. Tamil leaders failed to read the signal that the British had decided to go along with the majority community. They should have also realized that the British had abandoned the tilt towards the minority communities and had decided to win over the majority community. The British rulers felt towards the beginning of the 20th Century that the period of Kandyan revolt was over and the Kandyan aristocracy had turned loyal. The Anglicized Christian land owning class of the Low Country Sinhalese was with them. On the other hand the Tamils had become suspect as they regarded India their motherland and followed the trends set by the Indian leaders. Arunachalam did just that in 1902. Though he was still holding the Registrar General post he joined hands with Ferguson who endeavoured to call a meeting of public men to adopt a memorial on constitutional reform utilizing the occasion of Edward VII’s coronation in 1902. Arunachalam also used his friendship with Ferguson to publish two letters he had written to the Editor on constitutional reforms. In those letters Arunachalam espoused the views of another of his journalist friends, William Digby (1849- 1901). 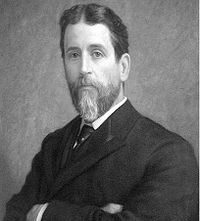 Digby, a British journalist, worked as a sub-editor of the Ceylon Observer from 1871 to1876. He then took over the editorship of The Madras Times. A man liberal in outlook and a political activist Digby got involved in the Temperance Movement and campaigned for the abolition of the grains tax. In his campaign for the abolition of the grains tax he collaborated with Ramanathan and cultivated the friendship of Arunachalam. While in Madras he witnessed the Great Famine of 1876-1877 and involved himself in relief work. He served as the Honorary Secretary of the Executive Committee of the Famine Relief Fund and wrote the two pamphlets: The Famine Campaign in Southern India, Vol. I and Vo. II. In those booklets Digby criticized the British Government's India policy. He argued for the inclusion of elected representatives of educated Indians in the legislative councils. Arunachalam who maintained correspondence with Digby till his death in 1901 adopted Digby’s suggestions in his letters. Arunachalam was nominated as the official member of the Executive Council in 1906 in his capacity of Registrar General. He was the first Sri Lankan to get that nomination. 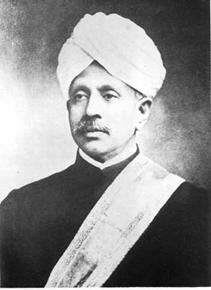 Arunachalam (1853-1924), the younger brother of Ramanathan, had his early education at Royal College and higher education at Christ’s College, Cambridge. He was the first Sri Lankan to enter the Ceylon Civil Service (1875) and was appointed Registrar General in 1887. He compiled the National Census Report in 1911. On his retirement in 1913 he was knighted for rendering distinguished service to the British crown. By the time Arunachalam retired from the civil service the political environment in Sri Lanka had completely changed. Majority of the Tamil people were incensed by the reappointment of Rockwood as the Legislative Council member. Rockwood left for England for medical treatment soon after his re-nomination and the Governor nominated W.N.S. Asarappa in his place. Tamils revived their agitation against the British administration against imposing a Christian leadership on them. Tamil people turned very critical of the Governor and his administration. The agitation created among the Tamil people a sense of assertiveness. Resolutions were passed by several associations demanding the nomination of a Hindu as the Tamil representative. The Governor yielded to the growing pressure and appointed in 1904 Ambalavanar Kanagasabai as the Tamil Legislative Council member. Kanagasabai was a Jaffna Hindu who enjoyed the support of the Tamil people. He was from an elite Jaffna family. With Kanagasabai’s appointment the leadership of the Tamils went to Jaffna. Till then, the Coomaraswamy family, Rockwood and Asarappa were from Colombo. Cassie Chetty was from Puttalam. Among the Sinhalese the leadership remained with the high-class Govigama Christians who had adopted a Westernized way of life and were interested in retaining it. Obeysekera was reappointed in 1889 and again in 1895 ignoring the efforts of the Karawa community to get the nomination for James Peiris. With the repeated failure of James Peiris to get nomination the Ceylon National Association fell into decay and political agitation temporarily subsided. The nomination of Kanagasabai brought about a significant change in the politics of the Tamil people. Politically oriented organizations began to emerge. Organizations like Saiva Paripalana Sabhai, and Tamil Sangam which were formed in the 19th Century had religious and linguistic objectives. Among the Sinhalese politically oriented organizations had emerged during the 19th Century. Ceylon Agricultural Association, Ceylon National Association and later the Chilaw Association were the forerunners. Among the Tamils the move to form their own organization to look after the social and political interests of the Tamil people started in 1905, a year after Kanagasabai’s nomination. The speeches and writings of Anagarika Dharmapala and his group made the Tamils realize the need for a political organization to voice their political and social interests. The first politically oriented organization Tamils formed was the Jaffna Association. It was formed on December 6, 1905 at a meeting held at the Jaffna Central College Hall. James Hensman, retired teacher of the College of Kumbakonam in Tamil Nadu, who had a direct feel of the developments there, was elected the president. Homer Vanniyasingham and S. Kasipillai, lawyers, were elected vice-presidents, Arunachalam Sabapathy, a wealthy advocate and editor of Hindu Organ was elected the secretary. The main objective of the association was to look after the political and social aspirations of the Tamils. It was the sole representative body of the Tamils till 1921 when Tamil Mahajana Sabai was formed. It has been the wish of many for a long time that an Association should be established here in Jaffna to put forward to the government the difficulties suffered by our people, and have them rectified. It gives us great pleasure to see that this wish has been fulfilled at last. The formation of the Jaffna Association brought together the intellectual community of Jaffna irrespective of their religious difference. Language and culture had become the unifying force. This was the outcome of a process that commenced in 1898; the process of taking a broader view of Tamil nationalism. On October 9 of that year the Saiva Paripalana Sabhai which was formed ten years after Navalar’s death held a meeting at Jaffna Hindu College and decided to extend its scope to include Christians thus transforming itself from a Hindu society into a Tamil organization. That resolution was the culmination of a process that had been going on since the Christians began to regard themselves as part of the Jaffna population and contributed to the discovery of the ancient Tamil literature, society and history. The resolution only reflected the growing Tamil consciousness – Tamilness - that played the powerful catalytic role in the birth of Tamil nationalism, which had begun to talk about “Tamils as a nation”. Tamil intellectuals who were brought together by the Jaffna Association evinced interest in the welfare of the general public, youth, agriculturists and workers. Two societies were formed in 1906, Social Reform Society, which concentrated on social matters and Jaffna Hindu Youth Society which promoted the welfare of Hindu youths. These societies worked with the Jaffna Association which supported the temperance movement, and the boycott of foreign goods, a movement that was gaining popularity in India and Jaffna, especially after Dr. Ananda Coomaraswamy’s lecture at Jaffna Hindu College on May 14 that year. Dr. Ananda Coomaraswamy was Dr. Muttu Coomaraswamy’s son. Ananda Coomaraswamy told the Tamils that they were the inheritors of an ancient culture and told them that that was their duty to preserve and protect their culture and traditions. His speech left an indelible imprint on the minds of the emerging Jaffna leadership. Inspired by the developments in India, Jaffna’s political activists and social reformers entered the field of economic development in the next decade, the 1910s. In India the movement to boycott foreign goods had gathered momentum and the Indian National Congress had begun to promote local agriculture and industry. In Jaffna, a decision was made to introduce the cooperative movement as the basis for economic development. Jaffna’s economy was primarily dependent on agriculture though government employment and employment in the British colony of Malaya had emerged the stable areas of income earning. The agrarian economy was dependent on paddy and tobacco cultivation. Paddy was the stable food crop and repeated crop failures due to drought had made it undependable and non-profitable. Tobacco was the main commercial crop followed by onion, chillie, banana and vegetables. The cultivable land was mainly owned by the wealthy vellala families who served the Portuguese and the Dutch and then the British. How tobacco was introduced into Jaffna was not clear but it was a profitable crop during the Portuguese and Dutch periods and continued to dominate the commercial economy during the British period as well. Finance was the main problem for the smallholders whom traders exploited by bonding them to sell their produce at low fixed prices by advancing credit during the course of the cultivation. The first effort to help them was by providing cheaper credit through a cooperative organization. For that purpose the Cooperative Finance Society was formed in 1913. The next step was the supply of fertilizer at cheap prices and the purchase of the harvest and reasonable prices. Jaffna Cooperative Society was established in 1918 for that purpose. The Jaffna Association, meanwhile, was forced in 1908 to turn its attention to constitutional reforms. Burghers, Sinhalese and Tamils were agitating from 1906 for constitutional reform and in 1908, James Peiris submitted a memorial to the Colonial Secretary requesting (a) the expansion of the Legislative Council, (b) to increase the number of the unofficial members to at least 16, (c) the number of unofficial members should be more than the number of official members, (d) the introduction of the elective principle, and (e) the unofficial members be elected on territorial basis. Peiris asked for the election of the unofficial members of the Legislative Council on territorial basis because he calculated that the Karawa community due to its wealth and education would get more voters as voting rights were given on the basis of property ownership and educational qualifications. Tamils were disturbed by that request. They feared that election on territorial basis would favour the Sinhalese because of their numerical strength and the control they had over wider territory. They feared that election of unofficial members on territorial basis would result in the transfer of power to the Sinhalese. We expect and demand the Governor to introduce amendments or reforms that will allow the people to elect the representatives of their race under regulations giving them the right to vote. The Jaffna Association also requested the Governor that voting rights be granted to the Tamils educated in the vernacular (Tamil). The Association hoped that granting voting rights to those educated in Tamil would increase the number of Tamil voters. Peiris’s demand for the election of the unofficial representatives on a territorial basis and Jaffna Association’s request for a communal basis, the result of the differing perspectives of the Sinhalese and the Tamils, was the beginning of the process that led to the clash of the Sinhala and Tamil nationalisms. The Tamils were still talking of a united nation but were asking for communal representation to maintain their separate identity; their language, culture and way of life. The Sinhalese, on the other hand, were thinking of constitutional arrangements for the whole country which would be beneficial to them. The Sinhalese were under the Mahawamsa spell and were in no mood to think about Tamils as partners of Sri Lanka’s founding as claimed by Ramanathan. Governor Henry McCallum noticed the different perspectives of the Sinhalese and the Tamils and advised the Colonial Secretary against the acceptance of the demand to elect the unofficial representatives on a territorial basis. In his memorandum to London, McCallum wrote that any attempt made to represent the people of Ceylon “as forming a single entity welded together by common interests to an extent to nullify these differences is in the least degree misleading.” He had correctly read the conflict in the perspectives of the two major communities in the country. That resulted in the 1910 reforms, the main features of which were: the number of unofficial members was raised to 10 and the number of official members increased to 11 thus ensuring the officials the majority. The unofficial members were: two Low Country Sinhalese, two Sri Lankan Tamils, one each of Kandyan Sinhalese and Muslims, who were nominated by the Governor. The remaining four seats were to be filled by election. Europeans were to elect two members, the Burghers their single representative and the educated Ceylonese their member. Thus the 1910 constitutional reforms known as the McCallum Reforms gave the Sinhalese three unofficial members against two for the Tamils and introduced two principles of election: Europeans and Burghers to elect their respective representatives (communal principle) and educated Ceylonese who comprised different racial groups which included Low Country Sinhalese, Kandyan Sinhalese, Sri Lankan Tamils and Muslims to elect a common representative (territorial principle). Morning Star and the Hindu Organ commenting on this difference said that the McCallum Reforms had introduced communal representation for Europeans and Burghers and territorial representation for the others, The Jaffna Association pointed this out to the Governor and followed that with a petition to the Secretary of State for Colonies. In that petition it requested the introduction of the communal principle for educated Ceylonese also. It suggested the creation of two seats for the educated Ceylonese, one for the educated Sinhalese and another for the educated Tamils. The request was rejected. The election for the Educated Ceylonese seat was fixed for November 1910 when Ramanathan was resting in his summer house Sivan Adi at Kodaikannal, Tamil Nadu. After retiring from the position of Solicitor General he was spending most of his time in Jaffna concentrating on educational and religious work. He also spent a part of his time teaching at Parameswara College of which he was the first principal. Dr. Marcus Fernando, a well known medical practitioner, announced his candidature for the Educated Ceylonese seat. He was a Karawa by caste and Govigama people did not like him elected. A group of prominent Govigama Sinhalese met at the residence of Hector Jayewaredene, a leading lawyer. They decided that Dr. Fernando should be defeated. They studied his voting strength of the racial and caste groups and found that individually Govigama caste members could not defeat Dr. Fernando. Under the ordinance gazetted in 1910 one needed to have educational or property qualification to be registered as a voter. The Educated Ceylonese seat was an island-wide seat which had a total of 2,938 voters. Of them 1659 voters (56.4 percent) were Sinhalese and 1072 voters (36.4 percent) were Tamils. Together they formed 2731 voters the balance being Muslims and others. The group decided to persuade Ramanathan to contest. Hector Jayewardene went to Kodaikannal and persuaded Ramanathan to contest the seat. The newspapers published in Colombo and Jaffna had covered the election campaign in detail. Reports of the final meetings of both candidates held in Colombo and Ramanathan’s meeting in Jaffna are available in Hindu Organ and Morning Star. Dr. Fernando’s final meeting was held at Bonjean Hall on November 17, 1910. Dr. Fernando’s speakers insinuated that Ramanathan was an orthodox Tamil Hindu who lived a traditional life. They said he did not display a Western lifestyle. They said that Ramanathan thought in Tamil even when he spoke in English. The implication of these comments was that he was unfit to be a member in a Council dominated by Englishmen. Ramanathan’s Jaffna meeting was held the next day at the Jaffna Central College Hall where the voters in the Jaffna peninsula were present. Ramanathan’s supporters made use of the very charges that Dr. Fernando’s people heaped on Ramanathan as their campaign topic. They said that Tamils should vote for him because he lived as a Tamil Hindu. They should vote for Ramanathan because he thought in Tamil and spoke as a Tamil. The line Ramanathan’s supporters took in the Colombo meeting held at Public Hall on November 20, 1910 was different. The main speakers were Sinhalese and the majority of those present were also Sinhalese. The need at that meeting was to show that Ramanathan was a fit and proper candidate who could represent the Ceylonese in the Legislative Council. One speaker reminded the audience of Ramanathan’s powerful oratory and his grasp of the English language. Ramanathan won the election with 1645 votes to Fernando’s 981 votes. The polling was high as 2626 out of the 2938 voters had cast their votes. Hindu Organ report shows that Tamils and the Kandyans voted en block for Ramanathan. Kandyans were more concerned about the caste factor. Among the Low Country Sinhalese most of the Govigama voters backed Ramanathan. According to Kumari Jayawardene some of the Govigama voters preferred Marcus Fernando because he was liberal. Some others say communal considerations influenced some Govigama voters to vote against Ramanathan. K.M. de Silva has taken the view that caste rivalry was the main factor that made a section of the Sinhalese to back Ramanathan. Since his election as the member of the Educated Ceylonese Ramanathan played his role as a national leader more seriously. He took up the cause of the Sinhala- Buddhists more often than the grievances of the Tamils. He did not voice the problems of the Muslims because they had their representative. Besides, he never accepted that Muslims formed a different national group. When the anti- Muslims riots broke out on May 28, 1915 Ramanathan was in his summer house Sivan Adi, at Kodaikannal. He became aware of the issue when some Sinhalese friends telegraphed him about it and requested his immediate return. The riots broke out following a clash around midnight during the Kandyan Esala Perahara. The environment for the flare up had been building up for some years. The Sinhala- Buddhist nationalistic movement built by Anagarika Dharmapala and the Temperance Movement headed by him which acquired an anti- Tamil orientation in the beginning of the 20th century soon turned against the Muslim trading community, especially the Muslims who had migrated from the Kerala coast in South India. That community who took to retail trading and money lending earned the rivalry of the Sinhala trading community. The Sinhala traders who supported the Sinhala- Buddhist nationalist movement whipped up the feeling of the Buddhists against the Muslim traders. They charged that the Muslims were exploiting the Sinhalese. The immediate cause for the riots was the 9:00 pm rule the British issued in 1907 following a complaint lodged by the British officials housed in Anuradhapura with the government charging that the beating of drums in Buddhist temples was disturbing their sleep. The government issued a rule banning the beating of drums after 9:00 in the night. The rule also laid down the requirement of obtaining a license from the Government Agent to conduct a procession after 9:00 pm if it involved the beating of drums. The trustees of the mosque in Castle Hill Street put up a signboard banning making noise after 9:00 pm within 100 yards from the mosque. Five years after the signboard was erected the perahara conducted by the Walahagoda Devale passed opposite the mosque after 9:00 pm. Muslims tried to obstruct it but the Buddhists went through, pushing them. The trustees of the mosque complained to the Government Agent, Kandy who ordered that the no-noise limit be reduced to 50 yards. Basanayake Nilame of the Buddhist temple objected to the Government Agent’s order and argued that the Kandyan Convention gave the Buddhists the right to conduct the perahera. An annoyed Government Agent extended the no-noise area to 100 yards and warned the Basanayake Nilame that he would cancel the license issued to him if he violated his order. The Basnayake Nilame instituted legal action against the Attorney General on September 30, 1913. Additional District Judge Dr. Paul E. Pieris who heard the case declared in his judgment delivered on June 4, 1914 that the perahara could be taken through Castle Hill Street. British authorities appealed to the Supreme Court which overturned Dr. Pieris’s judgment. Basnayake Nilame appealed against the Supreme Court decision to the Privy Council. Before the appeal was heard the riots broke out. During this legal tug-of-war Buddhist nationalists carried on a concerted campaign against the Muslims. They told the Buddhist people that Muslims were obstructing them from holding the perahera. In 1909 they turned th campaign into a movement to boycott Muslim shops. Sinhala novelist and poet Piyasena Srisena wrote in his paper “Sinhala Jatiya” against the Muslims. “Refrain from having transactions with Moors, Cochins and foreigners,” he wrote. In the same year Anagarika Dharmapala in his magazine, Mahabodhi Journal wrote, “merchants from Bombay and peddlers from South India are fleecing the Sinhala people.” He also carried on an anti- Muslim campaign in his magazine Sinhala Bauddhaya. He wrote that Sinhala Buddhists were “obliged to fall on the feet of Coast Moors and Tamils.” Ratnaweera, editor of Aryan preached that the Sinhalese being Aryans were superior to the Tamils and Moors. ... What the German is to the British that the Muhammedan is to the Sinhalese. He is an alien to the Sinhalese by religion, race and language. He traces his origin to Arabian, whilst the Sinhalese traces his origin to India and Aryan sources. It was in this context the 1915 riots broke out. 1915 being the centenary year of the signing of the Kandyan Convention Kandyans decided to celebrate the perahara in grandeur. Basnayake Nilame obtained police permission which was given with the condition that the perahara passed the Castle Hill Street mosque before midnight. When the perahara reached the venue it was1:00 am. Police escorting the perahara found that Muslims were standing on both sides of Castle Hill Street and rerouted the perahera through a byroad. The Muslims started hooting and jeering at the people who went in that perahara. That annoyed the people in the rear of the perahara and they went through Castle Street Hill Street. The Muslims attacked the perahara and the Buddhists retaliated. Police Inspector who accompanied the perahera summoned additional police and they arrested about 25 men for causing trouble and the people in the perahera went to other parts of the town and attacked Muslim shops. One Sinhala youth died due to a firing which the Buddhists claimed came from a Muslim shop. Some Muslim shops were damaged. Around 8:00 pm on the same day (May 29) Buddhists demonstrated against the police for its failure to arrest the person who shot the youth. They damaged some more Muslim shops and threw their contents into the streets and burnt them. When the police arrived the crowd dispersed. The next day (May 30) a street fight between some Sinhalese and Muslims took place. Attacks on Muslims spread from the central province to the western and then to the northwestern provinces during that week. Muslims living in six of the nine provinces were attacked. Only the Northern, Eastern and North Central provinces were not affected. Buddhist people were roused by the rumour that Sinhalese were being massacred, bodies were being hung across the roads and that their women were being raped. Muslims suffered heavily. Their houses, property, shops and mosques were destroyed and many Muslims were killed and injured. Thousands were made refugees. According to available records, 86 mosques were damaged, more than 4,075 boutiques and shops were looted, 35 Muslims killed, 198 injured and four women raped. Seventeen Christian churches were also burnt. Governor Sir Robert Chalmers initially treated the incident as a communal clash. But he was told that there was a conspiracy against British rule. He panicked and imposed martial law. During that time the First World War was on and the rumour among the British officials was that supporters of Germany were at the bottom of the attack on the Muslims. Sir Arthur Steel-Maitland, the Under Secretary of State for Colonies, told the House of Commons that, "It is quite possible that German intrigues were at the bottom of the rising in Ceylon." Making use of the martial rule the government arrested several prominent Sinhala leaders on charges of treason and their houses were searched. Those arrested included D. C. Senanayake, his brothers, F. R. Senanayake and D. S. Senanayake (later the first prime minister of Ceylon), D. B. Jayatilaka, W. A. de Silva, F. R. Dias Bandaranaike, E. T. de Silva, Dr. Casius Ferreira, C. Batuvantudawe, D. P. A. Wijewardene, John de Silva, W. H. W. Perera, Martinus Perera, John M Senivaratne, H. Amarasurya, D. E. Weerasuriya, Rev. G. D. Lanerolle, E. A. P. Wijeyeratne, Harry Mel, A. H. E. Molamure, D. B. Jayatilaka, A. E. Goonesinha, Battaramulla Unanse - a monk, Edmund and Dr C. A. Hewavitharatne, the brothers of Anagarika Dharmapala, who was also interned in Calcutta, where he had been during the unrest. The British enacted the Riots Damages Ordinance which made provisions for the payment of compensation to be paid to the Muslims who suffered death or loss of property. The ordinance provided for the collection of the required money from the Sinhalese of the areas where killing or damage occurred. The army and the police used force to make the collection. Edmund Hewavitharatne died in prison while several Sinhalese were summarily executed inside Welikade prison. Punjabi soldiers were brought from India to impose the martial law and violators were shot on sight. Ramanathan was at his holiday-home at Kodaikananal and hurried back to Colombo when his Sinhalese friends requested him. On arrival he found the conditions appalling. He asked the Governor for an interview but the Governor informed him that he was busy. Later, when the interview was granted Ramanathan explained to the Governor and the Colonial Secretary Stubbs the causes of the riots. He also delivered a series of six speeches in the Legislative Council denouncing the Governor’s action as ill-considered and condemned the measures the government took to suppress the riots and conduct of the officers. Sir P Ramanathan met the Sinhalese leaders in prison and obtained sworn affidavits from them. Subsequently, he laid the whole blame for the outbreak and the subsequent spread of the riots at the doors of the government for mishandling the entire tragic episode. Anagarika Dharmapala wrote to Ramanathan, on October 21, 1915: "Please accept my sincerest congratulations for the historic speech you made at the Ceylon Legislative Council. The day you are taken away from Ceylon, from that day, there will be none to defend the poor, neglected Sinhalese. They are a doomed people, with none to guide and protect them. Unhappy Sinhalese. It is time to commence agitation in Ceylon to have Ceylon brought under the Government of India. Without the protecting shadow of India, Ceylon would decline. Ceylon should be brought under the India Office and made part of Madras or Bengal. You will, I hope, do all you can to save the poor Buddhists for you are trying to save the people from injustice." Ramanathan decided to take his case to England, against the advice of his wife, who was concerned for his health. He sailed for England on the M M Paul Lecat on October 30, 1915, braving German mine-infested seas and submarines. When he reached England, he published an article, "Riots and Martial Laws of Ceylon, 1915", for the benefit of the British public. He had a number of personal interviews with Bonar Law, the Secretary of State for the Colonies, other ministers of state and with leading Members of Parliament. Ramanathan pleaded for the repeal of martial law by describing the atrocities committed on the Sinhala people by the Punjabis, the local police led by the Inspector General of Police, Sir Herbert Dowbiggin, and British troops. Soon after Ramanathan's representations, Governor Chalmers was recalled, martial law was repealed and Sir John Anderson (1916-18) was sent to Ceylon as the new governor. Ramanathan returned to Ceylon after his successful mission from England on February 17, 1916, on the P&O Malawa. Sinhalese leaders accorded him a grand welcome. He ws taken in procession from the harbor to his home Sugasthan at Ward Place. Tamil people eulogized the reception as the greatest achievement by a Tamil. It is indisputably a great achievement for a Tamil. The Tamil community was proud of it. Preparations are being made to celebrate the 80th death anniversary of Ramanathan. In the last chapter I said that it is time to reassess Ramanathan’s role in the history of Tamils. Please answer these questions. Did he serve the Tamil people? Did he misdirect the thinking and energies of the Tamil people? Was he not the cause for a lasting grouse Muslims have against Tamils?